TCJ: And during this time you were submitting cartoons to other magazines and selling there? 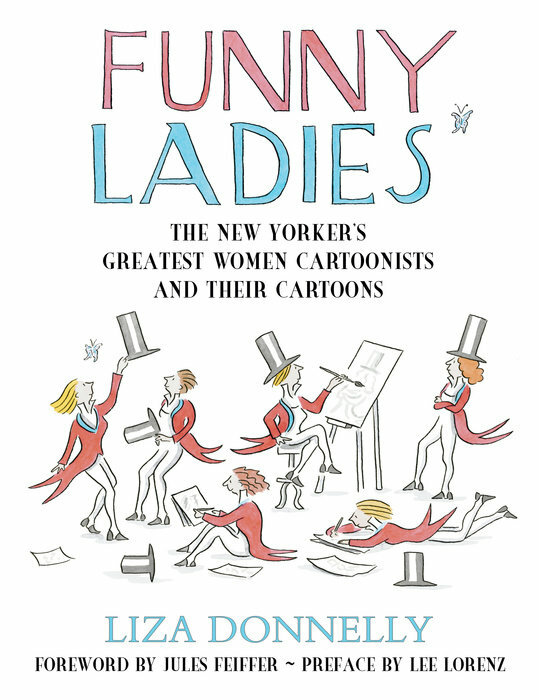 Liza: By then I had met a bunch of other cartoonists. There was a cartoonists association. I met Sam Gross and Roz Chast and George Booth around that time. Particularly from Sam you learned about the other publications. 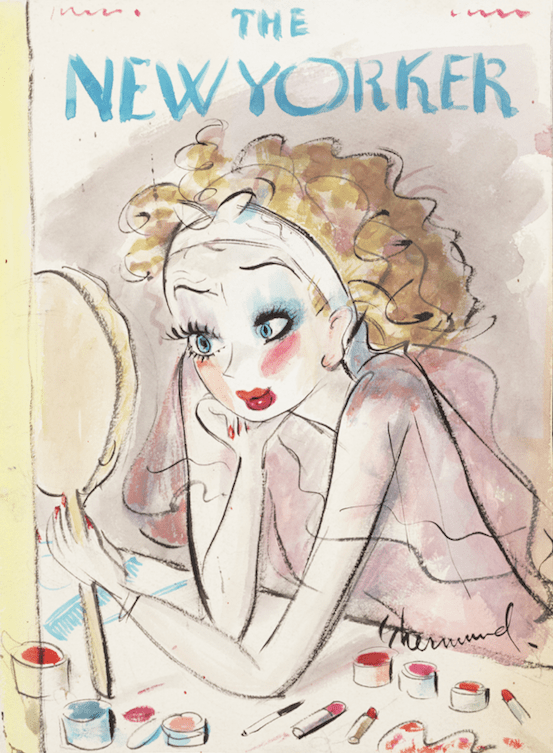 The first cartoon I sold was to National Lampoon to Ted Mann, who was the editor there at the time. I sold a lot to Cosmopolitan and Working Women and Audubon. There were more publications then, of course. The Comics Journal interviews the busy Liza Donnelly. 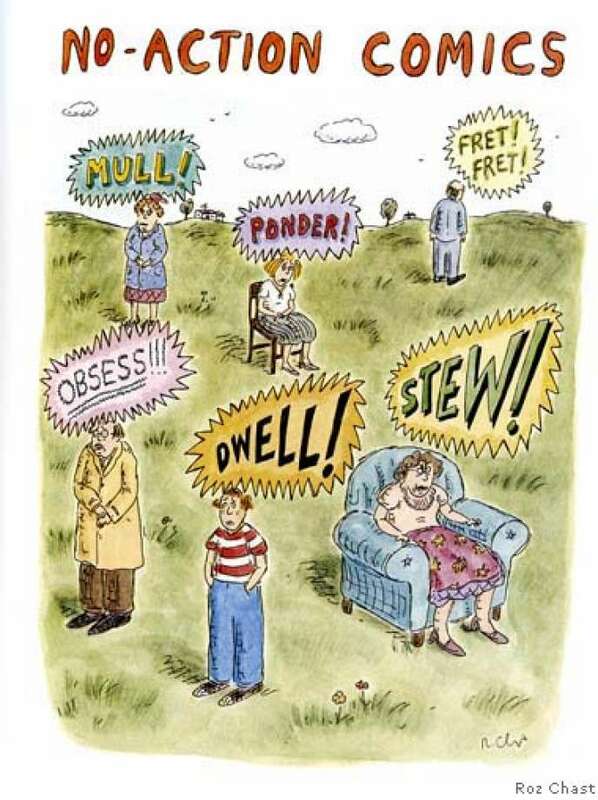 audio: KYW Radio interviews Roz Chast. 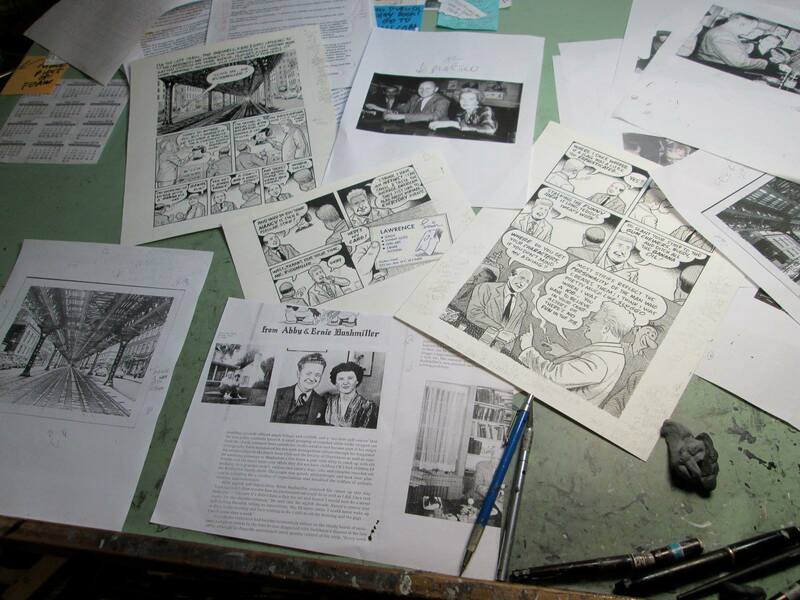 Starting my next project—a graphic biography of my cartoon hero, “Nancy” creator, Ernie Bushmiller. Bill Griffith is working on an Ernie Bushmiller biography. …One of these cases concerned the renewal copyrights for the character Popeye. The creator, Elzie C. Segar, had died in 1938 at the age of 43, leaving behind a wife and two small children. 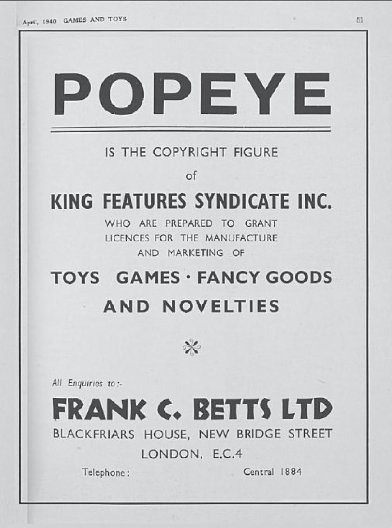 King Features Syndicate, Segar’s employer, had claimed the copyrights to the comic strip as a work for hire. After Segar’s death, King Features had stopped payment of all contractual royalties, depriving his family of that much-needed income stream. A New York court reinstated the contractual royalties in 1941, but Bill discovered almost 40 years later that the Segar heirs had a chance at recapturing the termination interest for the extended copyright term, despite the work-for-hire status claimed by King Features. It was a textbook example of a case destined for the U.S. Supreme Court, since it dealt with novel issues relating to works made for hire under the 1909 Copyright Act. Eager at the time to embark on a great legal adventure, I would be lying if I said I wasn’t disappointed when Bill was able to quickly negotiate a settlement that provided the heirs an annual lifetime annuity. 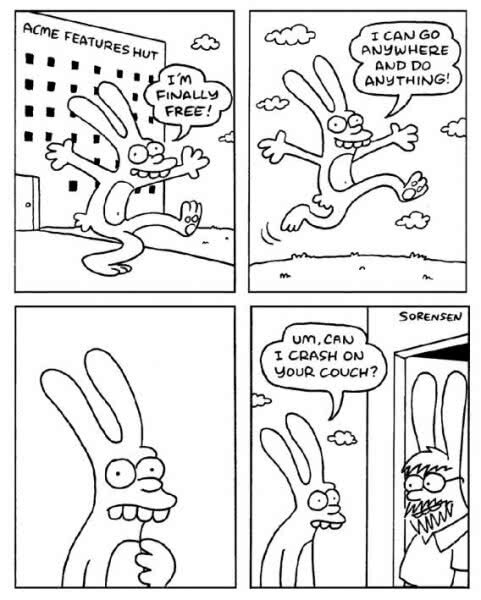 Before The Simpsons, Matt Groening’s Life In Hell. Michael Maslin shares the above news and a Barbara Shermund profile. 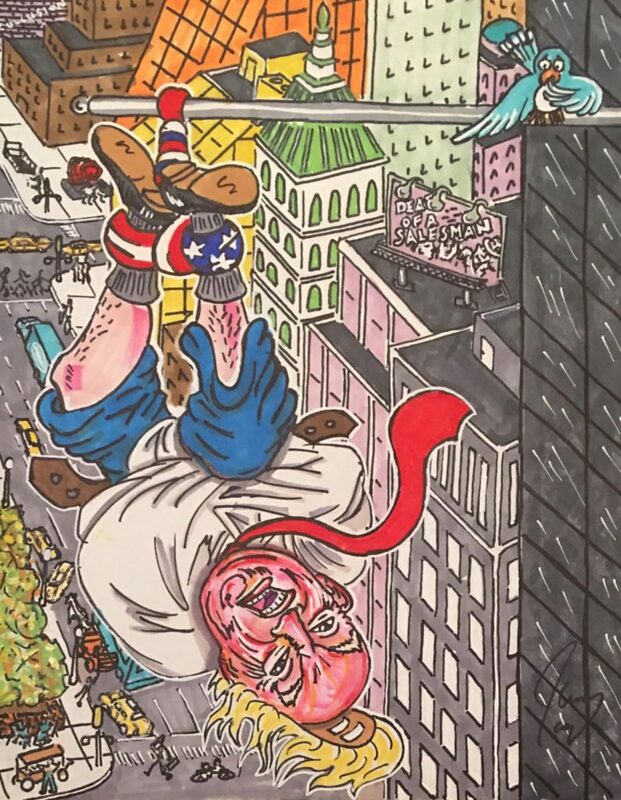 Artnet News covers Jim Carrey’s panel at the recent New Yorker Festival and Jim’s forthcoming exhibit. 28 queries in 0.231 seconds.